Wanting better teeth is one thing. Deciding to finally get a new smile is quite another. If you’ve ever wished for a step between wanting and doing, it’s here: digital smile design. At Dr. Michael J. Wei’s Midtown cosmetic dental office, smile makeover patients can get a good look at their new smile before it happens. Anticipation is wonderful. Delayed gratification is ultimately satisfying. Apprehension about something good, however, can be exhausting. You want to fix your teeth, but you’re worried about how you’ll look when the work is done. Reassurance is important, so you can feel confident in your decision to upgrade your smile. Changing your teeth with cosmetic dentistry is a significant investment in your appearance, especially in New York City. Digital smile design brings your personalized smile makeover to life, so you can see exactly how you’ll look with those porcelain veneers, crowns, dental implants, and more. No two smiles are the same and the solutions to fix each dental problem or complaint will differ for each patient. 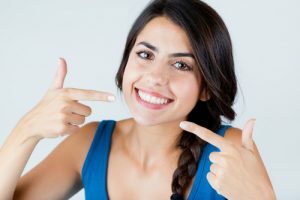 There may even be multiple options for correcting your teeth, and being able to see how every one of them looks will help you feel more confident about your final choice before it becomes a reality. Would you buy a car without test driving it? Don’t you try on shoes or clothes before you tear off the tags or wear them out? Before you say “go” on a smile makeover, you should have the chance to give it a whirl in real life, or at least as close to real as possible. Visualize what your smile will look like. Learn about the treatment you will undergo. Understand how your dental work is done. View multiple options for improving your smile. Share your potential smile makeover with others. While you need to ultimately make the decision about whether to hit the green light on your smile makeover, it can help to have input from trusted friends and family. Digital smile design makes these opinions possible – you can go home with visuals of your potential new smile to share and ruminate over yourself. Dr. Wei’s work is meticulous every time, no matter what procedure you’re undergoing, so you don’t have to worry about results. When you live with your decision before you make it a reality though, you will feel confident about finally sitting in the dentist’s chair and undergoing your smile makeover. You’ll look forward to the new you. A welcome side effect of digital smile design is that it allows you to see just how much can be done to improve your smile and, perhaps, how little needs to be done to get you the amazing white, flawless smile you want. Your smile has potential and, no matter how broken-down your teeth may be, they can be fixed. You don’t have to live with unsightly teeth. Look forward to a future where you will have a gorgeous smile that makes everything better – personally, professionally, socially, and even romantically. When you feel good about yourself and others will feel good about you too. You’ll carry yourself with greater confidence. You may not often smile at others when you pass them on our New York City streets, but rest assured that your smile will be ready to gleam when it counts. Learn more about digital smile design. See for yourself just how great your teeth can be and how much younger, happier, and healthier you can look. Schedule a consultation with Dr. Michael J. Wei at his Madison Avenue office to get the big picture about the new you.